TRUE CLOUD VS. FAKE CLOUD: WHY DOES IT MATTER? Lots of vendors are jumping on the cloud bandwagon these days, and with good reason. With the advantages of stronger cybersecurity, smaller IT footprint, and reduced capital expenditures, cloud-based software solutions are the choice of many in the alternative investment industry. However, not all clouds are created equal - some of the "cloud-based solutions" vendors are hawking are downright fakes. 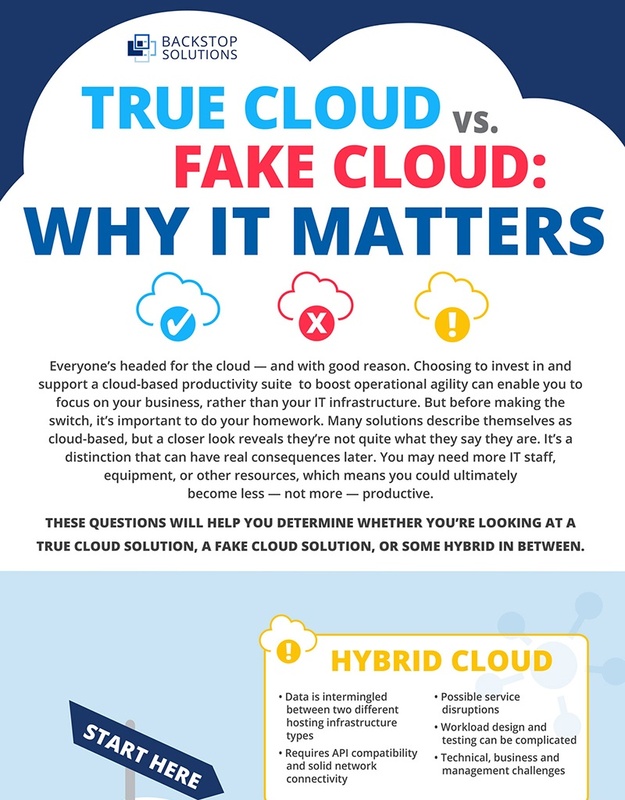 Download this infographic to learn the 8 questions you should be asking your vendors when vetting whether they're truly cloud-based, or just faking it.